SEATTLE, WA -- (MARKET WIRE) -- October 12, 2005 -- eProject (www.eproject.com) today announced that it has been awarded a Silver Award Winner for Project Management Software in a product round-up of ten vendors conducted by TopTenREVIEWS (www.toptenreviews.com), an independent Internet publisher of expert product reviews for software and web services. TopTenREVIEWS summarized eProject by saying, "Overall eProject is a great solution if you want your team all on the same page and if you value team feedback. Your clients, vendors and executives will also be able to track project status effectively and in real-time." 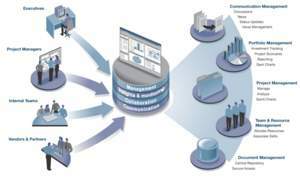 In the review eProject, the leading on-demand Project and Portfolio Management (PPM) platform for mid-market companies (revenues of $75 million - $1 billion) and divisions of Fortune 1000 enterprises, compared favorably to Microsoft Project in performance and features, while rating higher for its collaboration, dashboard, issues tracking capabilities and ability to support a number of platform configurations. TopTenREVIEWS called eProject "a great browser-based project management program. Because it's browser-based, collaboration is especially easy and efficient" while overall it is "very easy to use and navigate." eProject led all vendors with highest scores for Collaboration and its advanced dashboard: "While many of the programs we reviewed had centralized dashboard features, eProject's dashboard is a step above the rest. It's completely customizable: place links and important information wherever you want. Using the dashboard's intuitive interface it's easy to manipulate data to give you the results you need." A complete list of features and a side-by-side comparison matrix of vendors is available at http://project-management-software-review.toptenreviews.com/. Established in 2003, TopTenREVIEWS, Inc. is an Internet publisher of expert product reviews for software and web services. The company provides online shoppers with free access to in-depth product reviews, side-by-side feature comparisons, industry-related news and articles, online help, and safe links to purchase products. We do the research so you don't have to™. For more information about TopTenREVIEWS, visit www.toptenreviews.com. TopTenREVIEWS says about eProject, eProject<br>is a great solution if you want your team<br>all on the same page and if you value team<br>feedback. Your clients, vendors and executives<br>will also be able to track project status<br>effectively and in real-time.